The third variation of the Modern Times' Hoppy American Wheat only needed a few minor tweaks. The second version was a bit too light/thin, so we raised the original gravity, increased the mash temperature, and boosted the amount of CaraVienna. A slightly more aggressive hopping rate, not to mention the fresh harvests of Citra and Amarillo, should be enough to balance. That’s about all I’ve got to say about the recipe itself that I haven't said before. A few months ago I made the switch from the immersion chiller I’d used since I started homebrewing in 2005, to a newfangled Therminator plate-chiller. To use it, I finally put into service the March pump I bought a few years ago and mounted inside a plastic tool chest (inspired by Ryan Lockard's BYO article). In-line chilling also allowed me to start using a hop-back to cram even more hop aromatics into beers. I'm glad I didn't do a write-up of the new equipment immediately, because brewing a half-dozen batches with this setup has taught me a few things. Unlike an immersion chiller, which you can throw into the boil for the last 15 minutes, this setup takes a bit more time and effort to sanitize. While the wort boils, I connect all of the pieces with fittings and heat-resistant hoses (pump > hop-back > chiller), and cycle a few gallons of hot PBW solution through. After draining the cleaner, I cycle a couple changes of hot water through to remove any residue. This is followed by Star San. An acid based sanitizer is especially valuable in this case because its low pH prevents beerstone from accumulating in the tiny capillaries of the plate chiller. After draining the Star San I open the hop back (HopRocket) and put two to three ounces of whole hops inside (pellets would clog the screen). I do my best to break up any clumps of hops to allow easier flow. Before I got the HopRocket I'd read a number of complaints, but I’ve never has an issue achieving a reasonable rate of flow even without using the bell/dome that holds less than an ounce of hops. Luckily for me, my friend Pete recently moved and as a result I borrowed his keggle while he gets situated. Having a kettle with a valve makes priming the pump simple. When the boil is finished I usually toss in a couple ounces of hops for a hop stand. I allow the hops to steep in the hot wort for 15-20 minutes while I connect everything. This keggle has a MacGyver’d hop strainer which works well for whole hops, but I bag any pellets added to the boil. I connect the hose that leads to the inlet of the pump to the kettle. Opening the kettle's ball valve completely and cracking the pump’s ball valve allows the pump head to fill with wort. It is ideal to mount a March pump so that the inlet is at 6 o'clock, and the outlet is at 12. This orientation allows the pump to be primed easily. It is also smart to always plug-in a pump to a GFI (Ground Fault Indicator) outlet to avoid the risk of electrocution. If you don't have one wired in where you brew, you can pick up a portable one (like the one I use). The March pump has two speeds, on and off. As a result you’ll need a ball valve to control the rate of flow. It is best to have a pump pushing against the valve, rather than pulling through it so that it doesn’t run dry and lose its prime. When using the hop-back it is important to open the valve a very small amount initially. This gives time for the hop-back to fill without forcing the hops up against the top screen. Unlike most other hop-backs, the HopRocket fills from the bottom, so the wort filters up through the hops and out the top. This causes any trapped air to rise and be forced out. As a result the near-boiling wort passes through the hops, and is immediately chilled without a chance for the volatile oils to be driven off. For the chiller it is a good idea to run the chill water full-blast even before you start your pump even though the wort may not reach the chiller for a couple minutes. That way you won't forget or have to run away from the rig while it is runnings. Ensure you have your chiller positioned in the indicated orientation to maximize the contact of copper separated hot wort and cold water. Once wort is running into the sanitized fermentor, you can adjust the pump's ball valve based on the final wort temperature (the slower you run the wort the colder it will become). Remember that no chiller that relies on ground water can cool the wort below the temperature of that water. As a result, in the summer I still rely on ice-bath pre-chiller to get down to my desired pitching temperature. When the kettle runs dry you’ll have at least a half gallon of wort trapped in the hoses/hop-back/chiller. I turn off the pump immediately, running it without liquid can cause damage. I then kink the hose that runs from the pump to hop-back and disconnect it from the pump side. It is especially important to have a relatively easy to disconnect fitting here (I use Blichmann Quick Connectors). I then lift the hop-back, turning it over to allow the wort to drain via-gravity through the chiller and into the fermentor. Done. After turning off the chill-water and aerating/pitching the wort, it’s time to clean. I have an back-flush assembly that allows me to run water through the wort outlet of the chiller, forcing any bits of hops or trub back out the way they came. Then I run it the other way. Everything else is hosed off/out. Ideally I’d probably re-run the PBW and Star San cycles, but I usually don’t have the effort at that stage of the brew day. From tasting the pre-dry hoped beer, there is definitely more hop character than I ever got from even massive flame-out additions. However, after a big dose of dry hops, I’m not sure that the difference is discernible. When sanitized correctly, this closed system lowers the small chance of unwanted airborne microbes causing problems. It is especially beneficial if you brew larger batch sizes because the set-up and clean-up are the same, and the actual chilling usually takes less than two minutes per gallon (and will be even faster as my ground water continues to cool with the weather). Hopefully seeing how I'm chilling will help those of you considering a similar setup. This certainly isn't the only way to use this equipment, but it is what has worked for me thus far. 5 ml - HopShot (Extract) @ 65 min. 2.00 oz. Citra (Whole, 10.00% AA) @ 0 min. 1.00 oz. Amarillo (Whole, 10.00% AA) @ 0 min. 10/26/12 Made a 1.25 L starter on my stir-late. Filtered tap water cut with 5 gallons of distilled. 4 g of CaCl, and 7 g of gypsum split between the mash and batch sparge. Sparged with 175 F water. Collected 7.5 gallons of 1.039 runnings. Flame-out hops left in the wort for a ~15 minute hop stand. Chilled to 68 F, aerated for 45 seconds, and pitched the yeast. Left at 63 F to ferment. 11/7/12 Added half the dry hops, loose to the primary fermentor. 11/11/12 Kegged with the additional bagged dry hops. Gravity down to 1.013. 12/5/12 I'm about ready to call this one there. Great hops in the nose and mouth, and well balanced. Great process write-up. I love the toolbox idea. This was a great write up. I would like to see a working picture of the whole set up so I can get an idea of how you lay the whole system out. Why such a long boil for a brew without any Pilsner malts to worry about DMS? Is your goal to increase color and enhance taste due to maillard reaction? I had already planned on changing up my gumball head clone next time to include citra when I found your post but I've been doing 60 min boils so I'm curious to hear the reasoning for an extended boil. Since switching from an immersion chiller to the plate chiller, have you noticed any difference in the beer due to the cold break in the fermenter? I also made the switch and love my Therminator, although I recirculate through it back into the kettle. It's not so much due to the cold break (not really worried about that), but because I like to cool the entire batch at once and it gives me more precise control of the final wort temperature. Like you said, there are a lot of ways to use this thing. Jon, I added a picture of the whole rig in action at the end of the post. The layout isn't a big deal if you are using a pump, without one you'd need to raise the kettle a few feet up. The long boil was just to get the volume correct. I needed to collect some extra wort to reach my target OG. I don't think the extra 45 minutes adds much color/flavor. My hot and cold break has always ended up in the fermentor even when I use the immersion chiller. After chilling with it I dump through a strainer right into the fermentor to remove most of the spent hops. I don't think it causes any problems. If you want bettr control of the temperature, you could run the chilled wort back into the kettle. Like a modified version of Jamil's whirlpool chiller. That would eliminate the advantage of the hop-back, but it would chill the beer quickly without stirring. If your March pump is designed the same as mine, I believe you have the head mounted sideways. On mine the outlet makes a 90° turn just after exiting the head, so it's oriented vertically when the fitting are horizontal. If you have a racking cane/bottom spout on your fermentor, you can re-circulate the wort through the therminator to get the wort temperature to your cooling water temperature within a few minutes with the pump. I've also thought about recirculating after pitching the yeast to get good mixing. I'm motivated to put a hop-rocket in-line after reading this write-up. I recently picked up a therminator and a hop rocket. I have found the extra time need for prep and care for the plate chiller seem to fall by the wayside with the time it takes to take my wort from boiling to pitching temps. it is helpful to see how others are working with similar set ups. I have been recirculating wort for a few minutes prior to flame out in addition to a whirlpool to sanitize the chiller. But i have to run the cooling water for a bit to cool everything back down before chilling. Then backflush with hot water/pbw during clean up. Do you think a whirlpool would aid in keeping some of the break material out of the fermentor? I have only had a chance to use my hop rocket once which didnt go so well as I installed the filter incorrectly allowing a few hops through to clog the chiller...Uber fail! So the hop rocket saves the hop aromatics by being a closed system, would it not be driven off anyways by fermentation? Might be a better idea to pump the beer through the hop rocket from fermentor to keg no? Man, I use a similar technology, but with a counterflow chiller instead... Tested it once and the results were great... 20 Gallons of a hoppy weissbier (i call it Weizen Hoppiness) are conditioning while we talk... fermented with Fermentis WB-06... I have to say: it really pays the job mounting al those gadgets! I've heard some critical reviews of using a therminator vs. a traditional immersion chiller, since with immersion you're cooling the entire volume at once instead of a bit at a time with the therminator. Plus the immersion chiller is easier to use and clean. Simple to me is always better. Sean, interesting note on the 90 degree turn on the inlet. However, the Idea here is that air will rise up as the head fills, so regardless of which direction the liquid feeds into the head I think it is beneficial to have the pump positioned with the outlet facing up. I haven’t had any issues with mine in that orientation so far, so I won’t be screwing with it. Recirculating could certainly work well for chilling, but it wouldn’t be ideal with a HopRocket. The goal is to run the wort through the hops and chill it immediately, if you ran the wort back into the kettle it would heat back up and accomplish something similar to a flame-out addition. Fred, are you running hot wort through the HopRocket after it is filled with hops or before? I’ve considered recirculating hot wort through the chiller to sanitize for batches that don’t use the hop-back, but haven’t tried it yet. No matter how you get hop aromatics into a beer pre-fermentation, some of the molecules will be driven off by fermentation. However, it isn’t like the only finished beers with hop aromatics are those that are dry hopped post-fermentation. Randal-izing, either at service or packaging, certainly is an option, but the contact time is pretty short, and without the heat you have at flame-out it doesn’t get great aromatic extraction. You could use the HopRocket in the same way that Sierra Nevada does their Torpedo, using a pump to continually loop beer from a keg, through the “dry hops” and back for a day or two. Cold and hot side extractions produce slightly different hop flavors/aromatics, and I think it takes both to get that really saturate hop profile I want in beers like this. Ed, it is difficult to be too critical/concerned about not having some of the wort chilled for 10-15 minutes when it can take an hour or two at most commercial breweries before all of the wort is chilled. I've actually been extending the time between flame-out and chilling to get better utilization from flame-out hop additions. Thats interesting about the commercial breweries. SO I'm assuming cold break is just not really as big a factor as hot break? I am always paranoid at flameout because the longer i leave my wort exposed before entering the fermentation vessel, the bigger the chance of infection. I've been all grain for a few years now and the one big thing that eludes me (other than good efficiency, but that's not a big deal for me) is a strong hop flavor and aroma in my IPA's. I can get it pretty good but i still miss that big grapefruit aroma and hoppy flavor you get from a commercial IPA. I do a lot of late additions, a lot o dry hopping but it just seems to be not enough, or not as "bright". Im thinking maybe its my hop mix. I heard using higher alpha acids means there's more flavor to impart and to use more bittering hops for aromas. And others do ALL their hop additions at 30 minutes or less. Its the kind of thing you cant really explain. Id have to have you try my IPA. Do you go to the DC home-brewers meetings? I have only had a brew to use the hop rocket once so far. I sanitized it in a bucket of star san prior to filling it up. that thing would be hot to hold! Ed, I’m a cooler mash-tun guy too. I had similar issues with my hoppy beers too until I started kegging. Rather than focus on getting hop aromatics into the beer, the key seems to be preventing them from leaving. Flushing everything that the beer will touch post-fermentation with carbon-dioxide is critical. I think keg hopping goes a long way too. With bottle conditioning there is just too much time between packaging and drinking. I make it to most of the DCHB meetings, hopefully I’ll see you at the holiday one in a few weeks! Hopefully I’ll have a few hoppy beers (like this one) to bring as well. Fred,yep, gloves are a must when turning over the still-full HopRocket. Fairly novice brewer here (Mostly Partial mash, 1 year, but about 50 brews under the belt). Your Hop Rocket set up looks really interesting. One of the things I have been doing is brewing a hop tea and adding it to my priming sugar at bottling in an effort to boost the hop aromoatics of my Pale Ales. I was wondering if you'd thought of doing the same thing but with your set up. I guess there will be a challenge around how much water you can use to extract without having a subsequent impact on the finished beer, but I love the idea of pumping some maybe 250ml of hop aromatic compound saturated tea straight into my beer before bottling/kegging. Minimal compound loss, and you wouldn't also lose any to the action of the yeast during the main fermentation. Based in NZ so primarily using hops such as Motueka and Nelson Sauvin, as well as standards like cascade etc. We get very little citra and amarillo which is a pity but when we do get some I like to try to maximise the value I get from them which is why what your doing appealed to me. So I brewed up a beer inspired by this using hop steeping instead of the hop rocket and FWH instead of the hopshot. Only difference maltwise was CaraMunich instead of CaraVeinna I hit all of the numbers correctly but ended up with a beer that has awesome hop aroma but quite a bit for bitterness in the taste then I expected. I would guess at least 15-20 IBU's higher then desired and with a lighter beer that can make quite the difference. I am guessing with the hop steep I picked up more then just just taste and aroma. Any suggestions on how to balance this out besides just waiting a few months for it to mellow. I am currently 35 days post brew and 5 gal in a flushed keg but not crabbing and 5 gal still in primary. Options I was thinking of was brewing up 5 gal of wort with no bitterness additions and blending, adding fruit, or maybe some boiled DME. Any thoughts would be welcome. I hate to just let it sit for months and lose the aroma as well as the bitterness. The bitterness from the HopShots is very smooth, it tastes considerably mellower than the numbers suggest. What hop did you use for the first wort addition? Something high in cohumulone like Columbus will have a very different flavor impact IBU for IBU compared to a smoother variety like Magnum. That said, you are correct, a hop stand does contribute IBUs. I know Stone gets a decent percentage of their bitterness from their whirlpool additions. At this point, blending is your best option to dilute the bitterness. I think cutting the bitterness in half would be overkill, but you should do it to taste. Alternatively, you could try adding maltodextrin or DME to add some body. This batch was lower gravity (OG and FG) than I wanted anyway. I was much happier with the following batch which started and finished higher. Brewed this last weekend. Changed up the hops a little bit (amarillo is place of the citra and simcoe in place of the amarillo.) Also, I did a 30 minute steep with flame out hops, then did another 15 minute steep at 170 since I don't have a hop rocket. Which should I brew :) and thank you for publishing! I haven't brewed the scaled Modern Times recipe at home, so this is the only one I can vouch for. The commercial system gets better hop utilization (in terms of both bitterness and aromatics), which is why the amounts are proportionally smaller in it. Good luck! How much do you think water profile affects this beer? Brewery water vs DC? Do you have a count for sulfates vs carbonates? I've brewed this (in NYC) and I really like it, but I found it to be just shy of Fortunate Islands (got it when I was in LA). 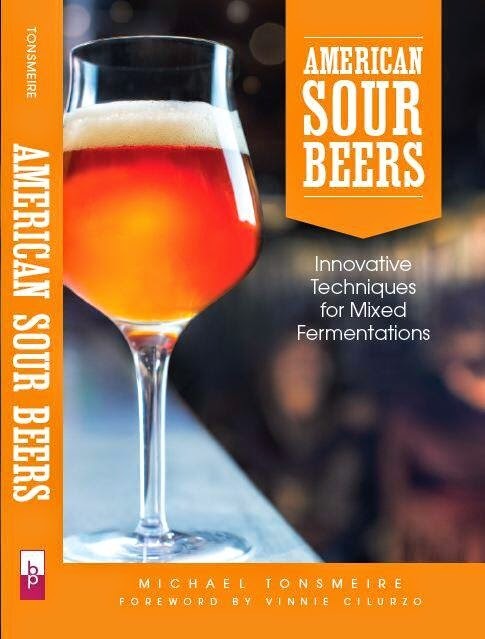 Great brewery, BTW, and congrats on the new book!! Not sure what the water is like in New York, but you can certainly try cutting the carbonates with distilled and playing with the amount of sulfate and chloride in the water (you can play with dosing in the finished beer). See what works best for your palate! Honestly I think the effects of water salts are relatively minor compared to really important things like fermentation health, ingredient quality, oxidation prevention, recipe design etc. The differences between the test batches and commercial Fortunate Islands were more about scale and hop usage than water minerals. Hi. I have a question with this recipe. You do the match with 5.25 gallons and then batch sparge up to 7.5 gallons? Batch sparge with 2.25 gallons? Thanks and greetings from Spain. The 5.25 gallons is post-boil. The specific volumes for the mash/sparge aren't especially important, but the standard best practice is to have your first and second runnings be the same volume. That means mashing in with half the target pre-boil volume, plus whatever losses you expect to mash tun dead space and grain absorption. I was likely low on gravity, no need to boil longer than 60 minutes if you don't need to. Love the recipe, but had a quick question. Do you have a preference on the type of wheat malt you use on this? I brewed it once using white wheat and it came out a little light in color than I was expecting.